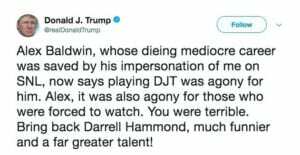 Alec Baldwin fired back at Donald Trump after the president’s late-night tweet mocking the actor who impersonates him on “Saturday Night Live” and calling for former castmember Darrell Hammond to replace him. 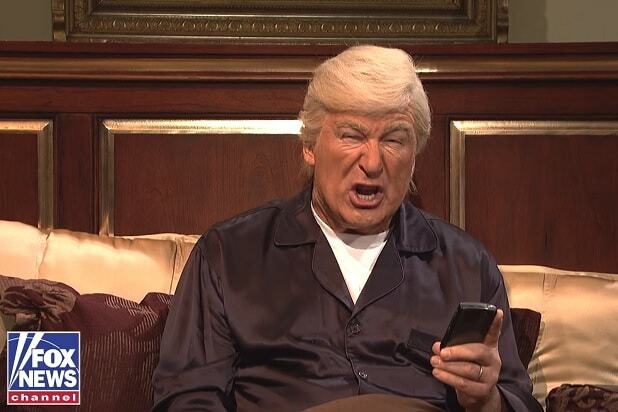 In another tweet, the actor asked the president to ask First Lady Melania Trump to “stop calling me for SNL tickets” — before squeezing in a plug that former NBA star and current basketball commentator Charles Barkley will host this week’s episode. 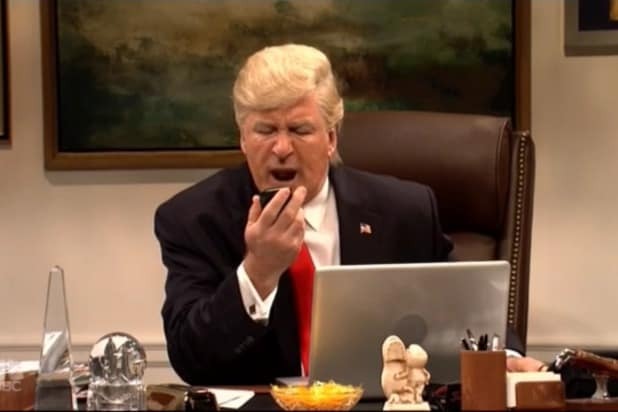 Baldwin has been playing Trump on “SNL” since the beginning of season 42 just prior to the 2016 election, and has continued in the role through this season though the frequency of his appearances has been waning.